Every July, on the Sunday that is closest to the 25th, I host a Christmas in July party for my family. If you would like read about our Christmas in July Luncheon please click here for Part 2! and if you would like to visit my new Christmas blog please click here! Some people thought it was a bit weird at first but these days it seems that many people who live in the Southern Hemisphere celebrate Christmas in July, which is normally our coldest month of the year. The earliest reference for the phrase 'Christmas in July' was in July 1933 at a girl's summer camp in North Carolina USA. 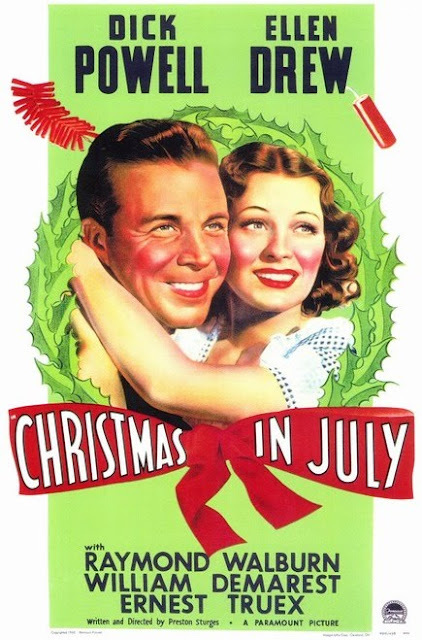 The term later gained momentum with the release of the Hollywood movie comedy 'Christmas in July' in 1940. Then in 1942, the Calvary Baptist Church in the USA celebrated 'Christmas in July' featuring a sermon 'Christmas Presents in July' and a Christmas tree. By the end of the sermon, the tree was covered with donations and gifts from the congregation. The donations and gifts were then distributed to missions worldwide. By 1946 this annual service began to be broadcast over local radio. Today many Churches across the world celebrate Christmas in July with services, fund raising and activities. The Lakewood United Methodist Church hosted a Christmas in July public festival. They gave away snowcones, treated everyone to a free concert, gathered donations for the Gardner Food Pantry and helped Central Arkansas Rescue Effort (CARE). "Christmas in July" festivities are said to have started here in Australia in July, 1980 when a group of Irish tourists asked the proprietor of a hotel in the Blue Mountains in New South Wales to hold a party called "Yulefest". Scandinavian languages translate the word "Christmas" as Jul (literally, Yule), which happens to be the abbreviation for July in English. My Christmas in July party usually includes a few Christmas decorations (I don't put up my tree! ), Christmas candles, bonbons, Christmas hats and small toys for the kids. I have had no problem finding yummy recipes to try, as one of my favourite Australian recipe sites has got a whole section devoted to Christmas in July! Have a look at some of these yummy recipes! Despite the fact that Christmas in July has become very commercialized in many places, I think that it is an occasion to remember the spirit of Christmas, which, according to Washington Irving, is the season for kindling the fire of hospitality in the hall, the genial flame of charity in the heart. It is also a fun way for people in the northern Hemisphere to satisfy a craving for cooler weather (I hear it is terribly hot over there at the moment!) and it is a fun way for us in the South to experience what a Northern Hemisphere Christmas would be like. I love your pinky Christmas in July....but i never heard about it !! Beautiful photos and it sounds like a lot of fun! wonderful pictures! You gave me a great idea. We have Christmas at our house for my mom's side of the family every year (50t people), but they won't all fit in the new house. Maybe we'll change it to Xmas in July, because we'll all fit outside! Super idea!! We got to see Amy Grant in concert 2 yrs ago and loved her. Great pick for Sunday Song! 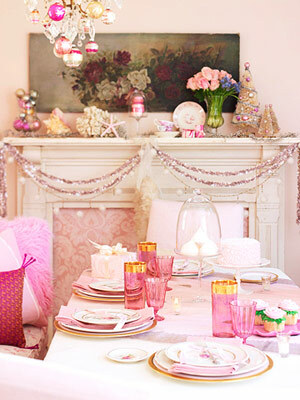 Love what you are doing and your pink Christmas in July decorations and menu look incredible! I love anything Amy Grant sings!! Thanks for sharing! Oh and Natasha thank you for the sweet comment you left me, nice of you to drop in! Well I think that is a great idea to celebrate Christmas in July Down Under. 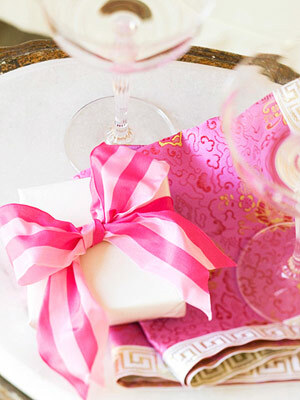 Love your table setting and Chrissie decorations. I think the Amy Grant song is a great choice. Happy Sunday. Happy Christmas in July and I will be back tomorrow when it is Sunday in Italy to post my selection for this week. I love that great Dicken's quote and your fun Christmas in July post! The pictures, recipes and story are all fabulous...ho! ho! ho! and have a great time with your family down-under there! This was a very refreshing post! 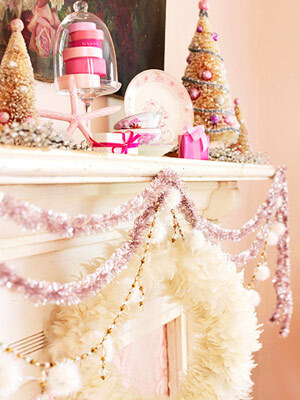 Love the pink christmas stuff. Our town used to have a Christmas in July in the shops, but they don't seem to be doing it this year. Happy Christmas in July, Natasha! I adored this post. It is beautiful, and I enjoyed seeing all the pink Christmas things. my sister/in/law is from Italy--she would probably enjoy the singer you mention. I would like to hear the bells right now.. Definitely Christmas has not speacial time or season. Great article, Natasha! Thanks to darling Linda in bella Italia, advised me about your weekly event, so I am here. Welcome to hear my song? How beautiful!!!! You have inspired me to want a Christmas in July party too. It snowed here last month and now is above 98 degrees F ha! Happy Pink Saturday. All your photos are just beautiful! Sounds like a fun time...your menu sounds even better! Natasha, right now, I would give anything for a little cooler weather...how cool is your weather? Beautiful photos. I just adored this post as i LOVE Christmas!! And I loved all of you Pinkalicious Christmas photos!! Love Christmas, one of my fav times of the year. Wouldn't mind having it two times. :) It's just so hot here, now. Love the food pics, now I'm hungry. How fun! What could be better than celebrating this amazing holiday twice?! I adore all of the images you used...simply gorgeous! In our church the Christmas in July theme is usually given to special charitable projects going on in July; and besides it is just fun, and it is never out of date to put emphsis on the birthday of the Christ. Happy Pink Saturday and Sunday Song, Natasha. I love the idea of a Christmas in July celebration. And, all of those gorgeous pinks would certainly put you in the mood. I'm listening to Amy Grant as I type. It has been very hot here - highs near 100 degrees F. I believe that is about 38 degrees C.
Oh my - I knew there was a good reason I start thinking of singing Christmas songs in July :) I love old movies (my grandparents and senior parents got me hooked :) ), but I had never heard of this one. I'll have to ask my senior mom if she has. Your pink christmas is gorgeous.. Simply loved all your curios.. Hope you had a great time with the family..
this is such a fabulous idea...i am thinking i might copy you...you don't mind do ya? Go for it Christy! I bet you'll have a wonderful time. What a great idea, Natasha! I could celebrate Christmas anytime because I love it so. I have that same quote on my Christmas blog! Your photos are wonderful and I enjoyed Amy Grant's version of the song. A belated Happy Pink Saturday to you. Thanks for sharing such a lovely post. to figure out how to do that. Ive been considering having a Christmas in July party and I think you may have just persuaded me. Im especially loving that all the op shops have little Christmas displays at the moment, ive managed to pick up a few gorgeous vintage decorations. You were the second blog today that I read about Christmas in July. You are getting me too excited and I still have to finish summer with the kids. Your photos are lovely. Are the pink decorations yours? They are exquisite. The food looks great too. Merry Christmas. Do you use red in Dec or the same? Love different ideas and info. This is so amazing! 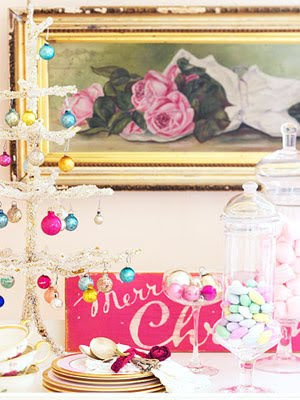 Love the pink, what a great reminder of Christmas. Great idea! Not too many do it here, sooo hot, hard to think Christmas! But I guess the people in Fla have heat in Dec too. Hope you had a wonderful celebration! My friend, I just adore that you are celebrating Christmas in July! Christmas is my favorite holiday of the year but I must confess that I have never celebrated Christmas in July! I really enjoyed reading the history behind celebrating Christmas in July...so interesting! And...I love that so many are using this time as a way to help others! 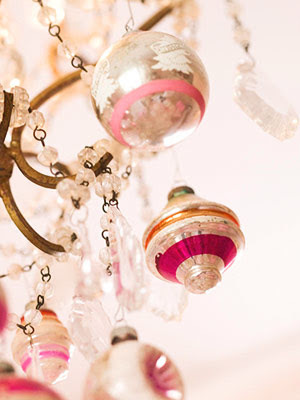 Now...I must tell you that I simply adore all of those gorgeous Christmas in July photos! 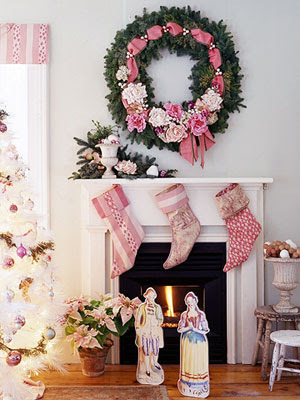 Oooh...love all that pretty pink and it's perfect since it's just a wee step away from the traditional Christmas in December! Thank you so much for sharing your celebration with us...loved all of the recipe links! I'll have to check some of those out! What a wonderful post, my friend...thank you so much for sharing it with us today for Sunday Favorites...it truly was a treat! Just like Christmas in July!!! I also wanted to thank you for the sweet note that you left for me...I sure enjoyed it!!! Just love your post. In the US we are stuck in this steam bath cycle this year and I have been posting Christmas all last week and singing Winter Wonderland! I just love your decor! Natasha, Great post! I've never celebrated Christmas in July, but I think 1) it'd be fun particularly if you have children at home; and 2) the spirit of Christmas is something we should celebrate every day. I loved this post when I first saw it and I still am in love with it! !I just linked up to the Christmas in July Party. Please stop by to take a peek at my 12 Christmas trees!! Natasha, you are so gifted with your blogging!! This is a spectacular post. I love the soft pinks and whites and it would be a great tradition to start Christmas in July! I guess dinner on the 25th would be fitting. Just getting out fav lil collection and keeping it simple would be perfect. Oh, I just came across the "Christmas in July" post! I just love your blog and will be signing up to follow! Tudo lindo por aqui! Parabéns. I'm from Brazil but I'm living in canada. Thank you for opening a whole new world to me, beautiful song, and what about to celebrate every single day of life!